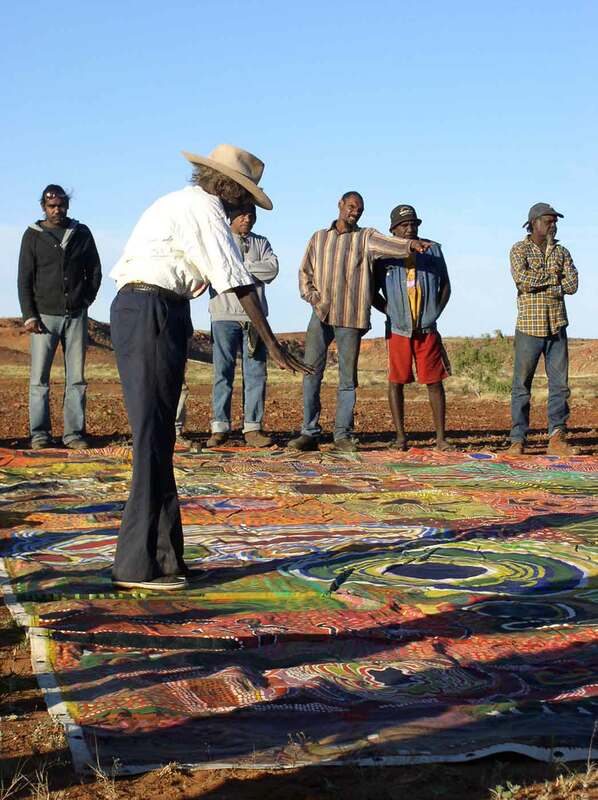 Ngurrara: The Great Sandy Desert Canvas, developed by the South Australian Museum, centred on one of the largest and most spectacular Aboriginal Western Desert paintings: the great Ngurrara Canvas. 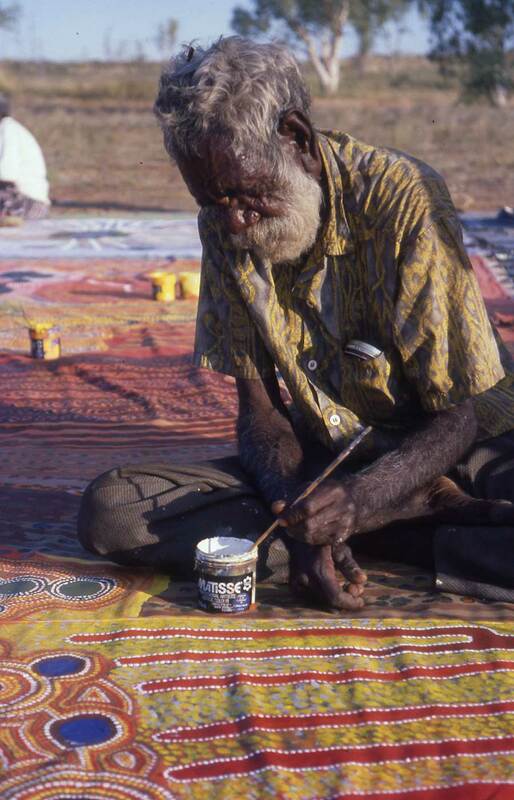 The great Ngurrara Canvas is one of the largest and most spectacular Aboriginal Western Desert paintings. 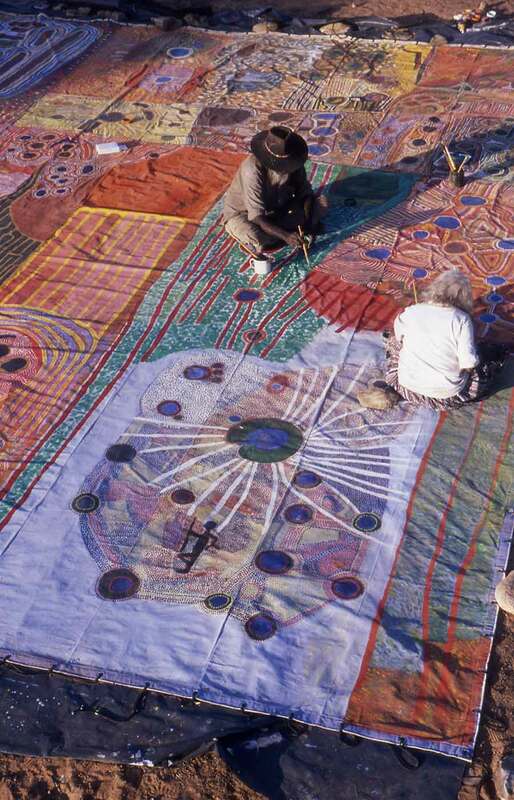 It was painted by senior traditional owners of the Great Sandy Desert of northern Western Australia as an emotionally and politically charged expression of their links to their country, for presentation to the National Native Title Tribunal in 1997. This imposing painting was exhibited alongside paintings and films made during the painters’ visits to their ancestral land, juxtaposed with artefacts, crayon drawings and regional maps made by the painters’ parental generation during a 1952 anthropological expedition. 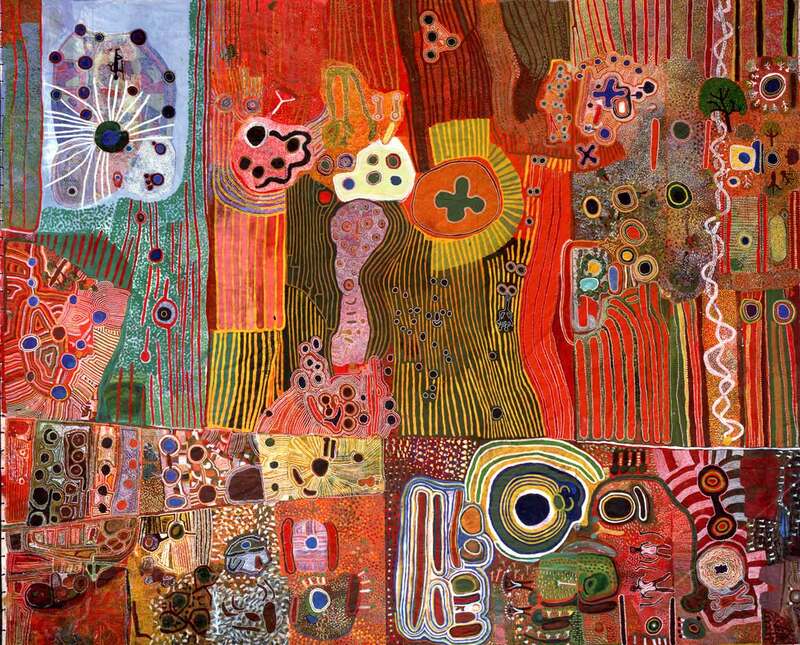 Ngurrara 1Ngurrara 1 canvas, collaborative work painted in 1996 by nineteen Aboriginal men and women at Pirnini, in the Great Sandy Desert, Western Australia. 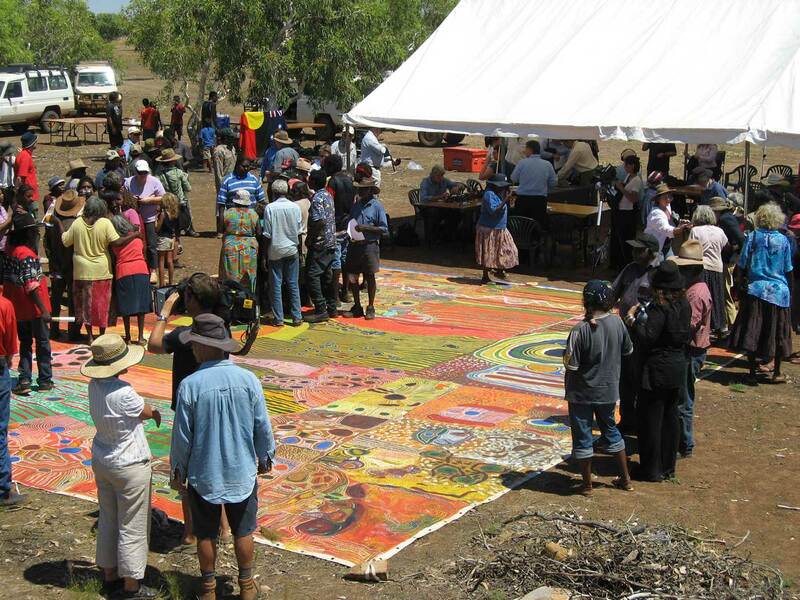 Supported by Visions of Australia, an Australian Government Program supporting touring exhibitions by providing funding assistance for the development and touring of cultural material across Australia.